“We breathe freer. The country will be saved.” Henry Wadsworth Longfellow’s response to the reelection of Abraham Lincoln in 1864 is a timely reminder of how, while they all matter, some presidential elections matter much more than others. Five years earlier Longfellow was one of many who believed the time for peace had passed with John Brown’s execution for attempting to arm slaves with weapons from the federal arsenal at Harpers Ferry. “This will be a great day in our history,” he wrote on Dec. 2, 1859, the day of the hanging, “the date of a new Revolution” needed to move the nation farther toward the Constitution’s goal of “a more perfect Union.” Even “Paul Revere’s Ride,” his famous poem on the Revolutionary War, was “less about liberty and Paul Revere, and more about slavery and John Brown,” writes historian Jill Lepore, “a calls to arms, rousing northerners to action.” This rallying cry serendipitously appeared on newsstands on Dec. 20, 1860, the day South Carolina seceded from the Union. Henry Wadsworth Longfellow (via Wikimedia Commons). 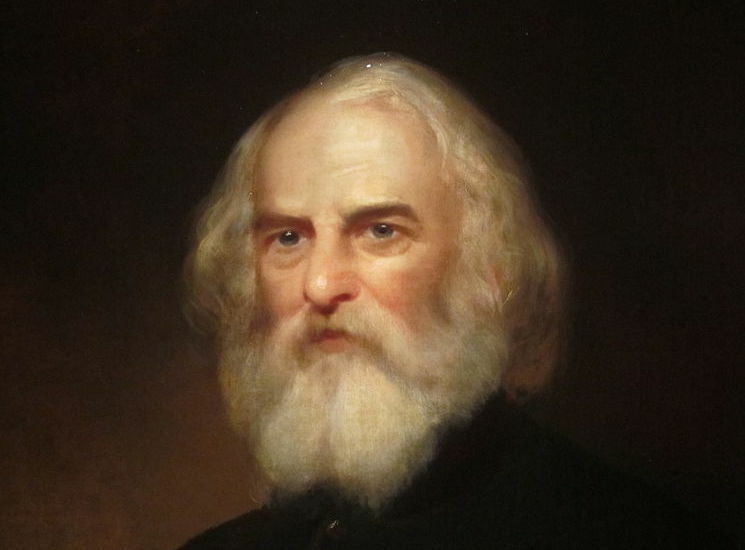 Longfellow had gained notice in abolitionist circles two decades earlier with publication of his Poems on Slavery. He judged his verses “so mild that even a Slaveholder might read them without losing his appetite for breakfast,” but still they triggered a “long and violent tirade” in a South Carolina newspaper and were left out of an 1845 edition of the author’s collected works to avoid offending readers in the south and west. 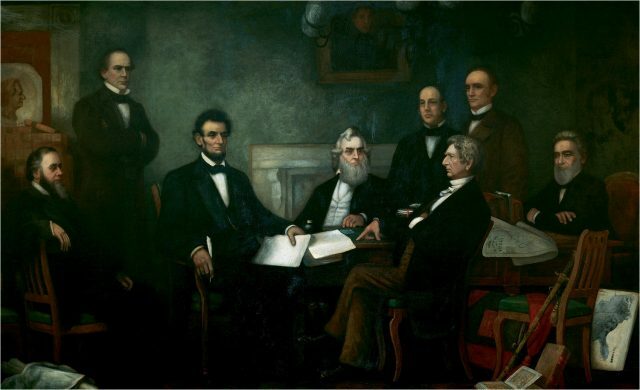 First Reading of the Emancipation Proclamation of President Lincoln, by Francis Bicknell Carpenter, 1864 (via Wikimedia Commons). 1863 also saw Longfellow complete a draft of his translation of Dante’s Divine Comedy. Working closely with Dante’s poem helped him cope with the traumatic loss of his beloved wife. On July 9, 1861, Fanny had suffered fatal injuries when her dress caught fire as she melted wax to seal a lock of her daughter’s hair. The translation provided “refuge” from an ordeal “almost too much for any man to bear,” he wrote to a friend. 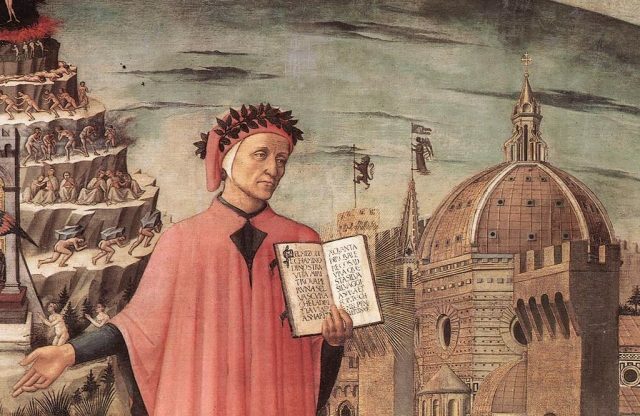 Dante, poised between the mountain of purgatory and the city of Florence, a detail of a painting by Domenico di Michelino, Florence 1465 (via Wikimedia Commons). 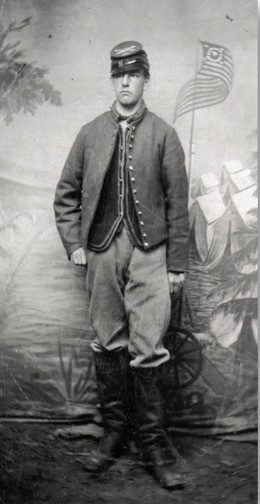 Charles Longfellow in Uniform (1st Massachusetts Artillery), March 1863. Courtesy National Park Service, Longfellow House-Washington’s Headquarters National Historic Site. The hell of war weighed heavily on Longfellow’s mind when he finally turned to translating Dante’s Inferno—he saved this first part of the Divine Comedy for last—on March 14, 1863. He began during an especially “sad week”: Charles, his eighteen-year-old son, had left home, unannounced, to join the Army of the Potomac in Washington. Initially attaching himself to an artillery regiment, “Charley” benefited from family connections to receive a commission as second lieutenant in the cavalry. “He is where he wants to be, in the midst of it all,” wrote the worried father. During this first month of Charley’s military service, Longfellow translated a canto of Inferno each day. Amid “many interruptions and anxieties,” he completed all thirty-four cantos by April 16, 1863. Two weeks later Charles Norton, Longfellow’s friend and fellow Dante expert, urged him to hold back publication of the translation until 1865 so it could be presented during Italy’s celebration of the poet’s six-hundredth birthday in Florence. On December 1, 1863, Longfellow received a telegram from Washington saying his son had been “severely wounded.” He immediately left Cambridge with his younger son Ernest and headed south to find Charley and learn the extent of his injuries. The soldier, who had already survived a bout of the ever-dangerous “camp fever” the previous summer, made another “wonderful escape,” as his relieved father put it. Fighting near the front lines in the Mine Run Campaign, Charley took a Confederate soldier’s bullet in the shoulder. He returned home in one piece and slowly recovered from his wounds, but his fighting days were over. Longfellow’s translation of Dante’s Inferno took its place among the works by eminent foreigners on display in Florence to honor the poet’s birth. Three days of festivities in 1865 doubled as a celebration of Italy’s independence while the nation awaited the additions of Venice (1866) and Rome (1870) to complete the unification begun in 1859-61. At a banquet for foreign dignitaries, an American speaker drew rousing applause from his Italian hosts and their guests when he toasted the “Re-United States”—a poignant reminder that Italy was taking its first steps as an independent and (mostly) unified nation just as America emerged from the greatest test of its own unity and promise of freedom. The statue of Dante Alighieri that today stands in the Piazza Santa Croce in Florence was unveiled in 1865 during the festival (via Wikimedia Commons). “Hideous news.” This was Longfellow’s reaction to Abraham Lincoln’s death on the morning of April 15, 1865, from the bullet fired by John Wilkes Booth the night before at Ford’s Theatre. Star of morning and of liberty: Longfellow’s epithet for Dante would have sounded like a fine description of Abraham Lincoln to millions of Americans who mourned the slain president. Featured Image: Henry Wadsworth Longfellow in his study, 1868. Courtesy National Park Service, Longfellow House-Washington’s Headquarters National Historic Site. For more information on Dante and Longfellow, see the special edition of Dante Studies on this topic (vol. 128 in 2010), edited by Arielle Saiber and Giuseppe Mazzotta. Jacqueline Jones discusses Civil War Savannah. Marc Palen debates the causes of the Civil War. 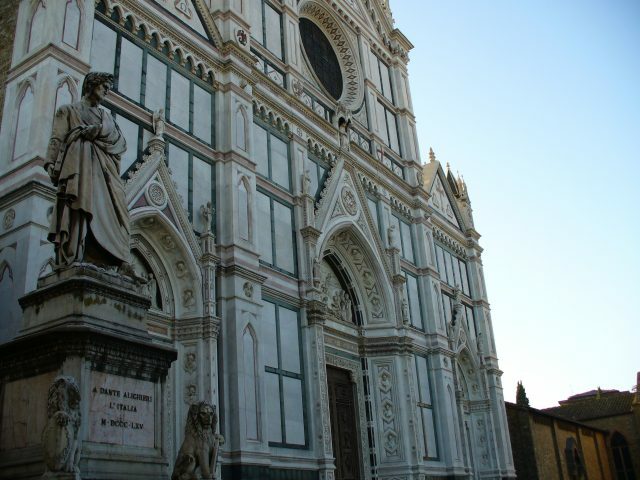 Alison Frazier suggests some “lightly fictionalized” books about the Italian Renaissance. Check out Guy Raffa’s multi-media journey through the three realms of Dante’s afterlife, via Thinking in Public.